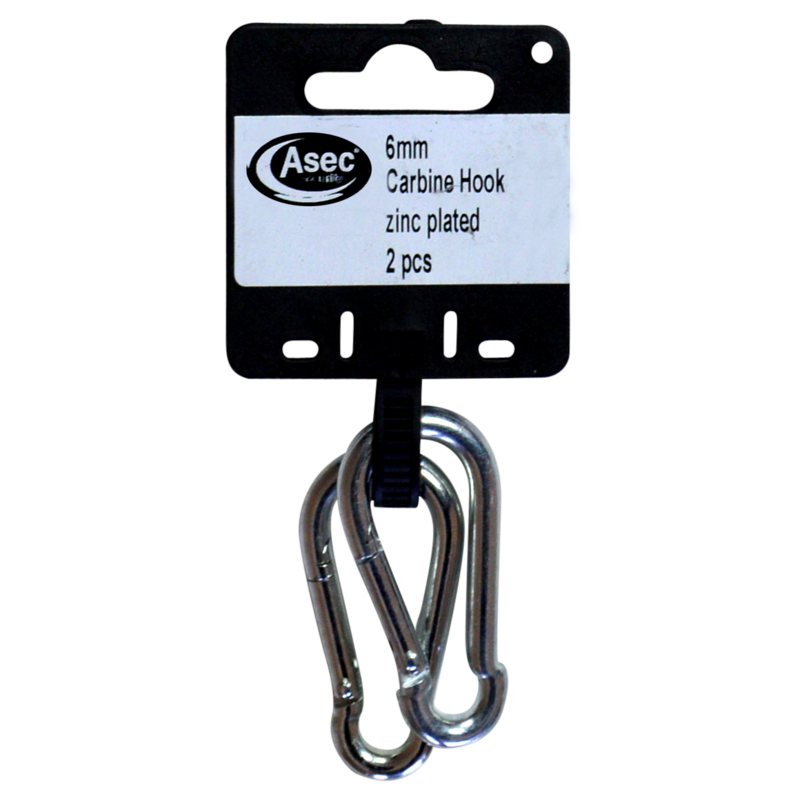 These corrosion resistant Asec Steel Carbine Hooks are ideal where quick access is required. They have a heavily spring loaded gate and are often used in conjunction with chains & cables in applications such as parking spaces to restrict access. 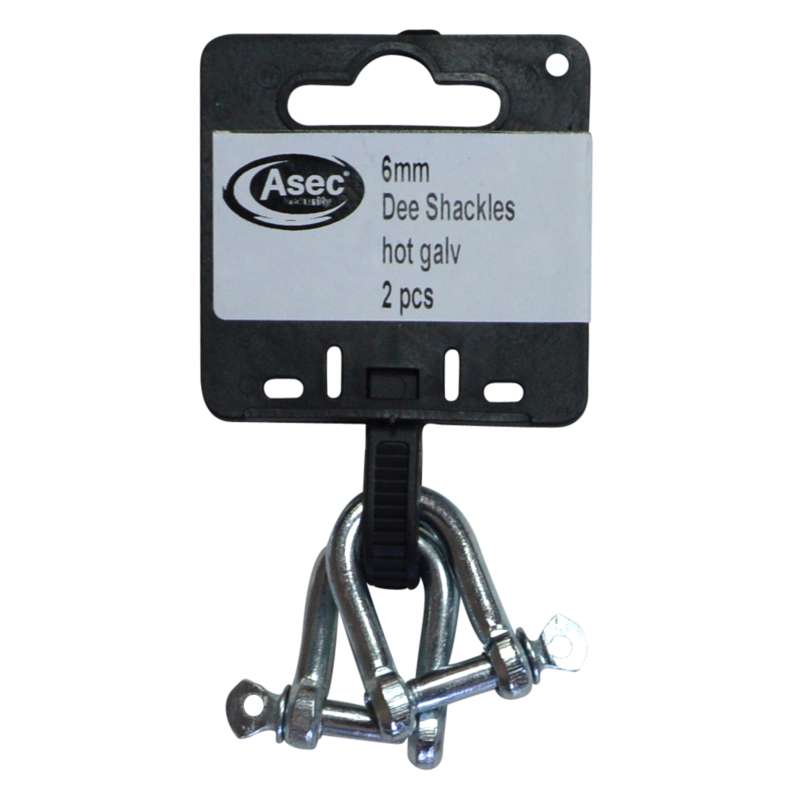 These corrosion resistant Asec Steel Dee Shackles are ideal to attach chains to anchors or link 2 pieces of chain together quickly and securely. 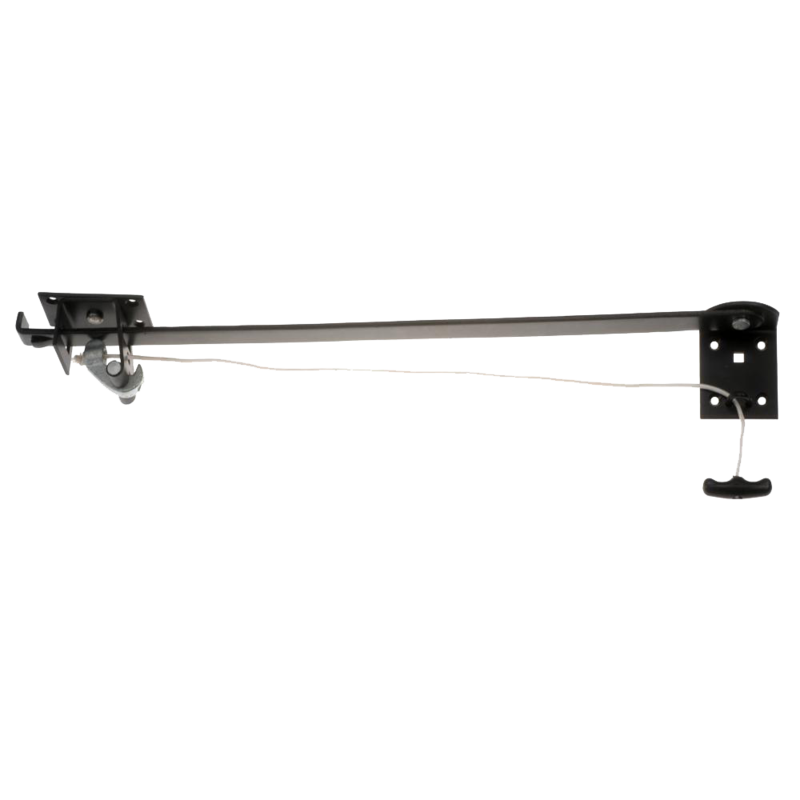 They have a `U` shaped construction with screw closure gates and are often used in conjunction with chains & cables in applications such as wall fixing and ground tie downs. 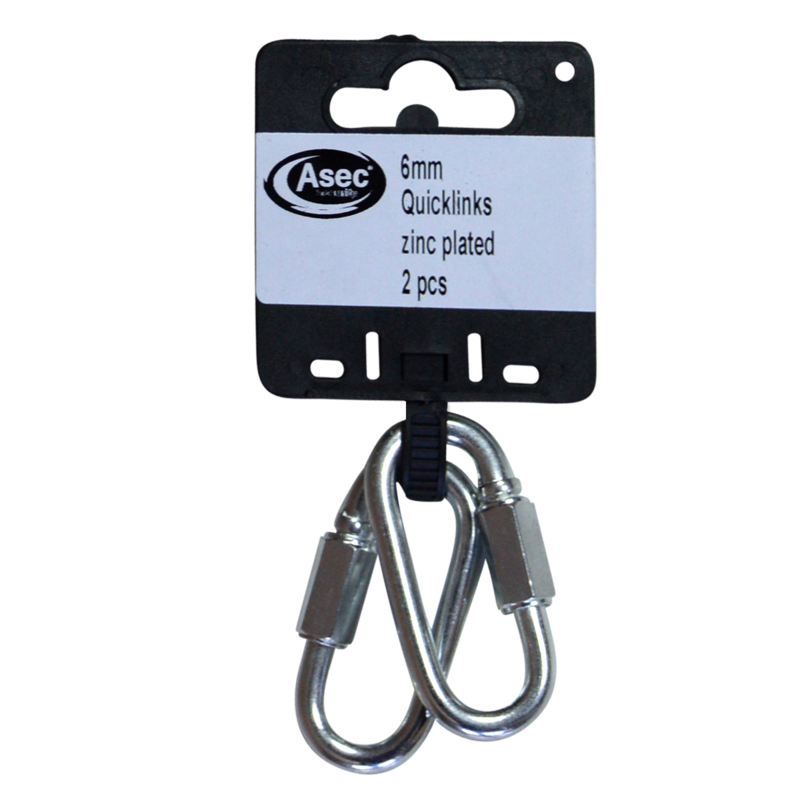 These corrosion resistant Asec Steel Quick Links are ideal to link 2 pieces of chain together quickly and securely. They have screw closure gates and are often used in conjunction with chains & cables in applications such as parking spaces and in gardens. 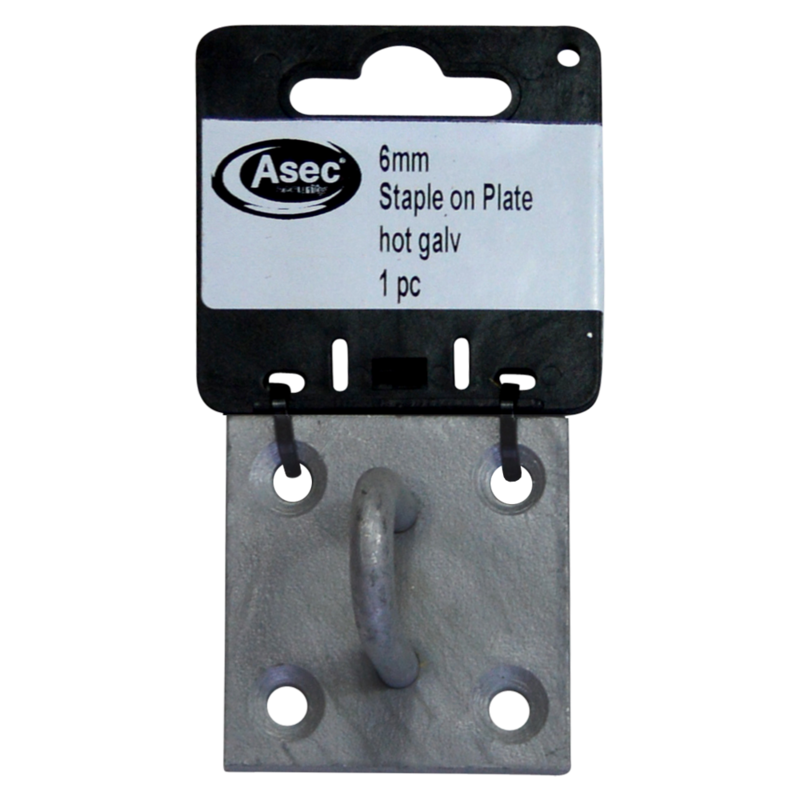 These corrosion resistant Asec Steel Staple on Plates are used to provide a secure fixing to walls and floors. They have 4 countersunk holes to provide a secure fixing and are often used in applications to secure items such as hanging baskets and fixing points for canopies.